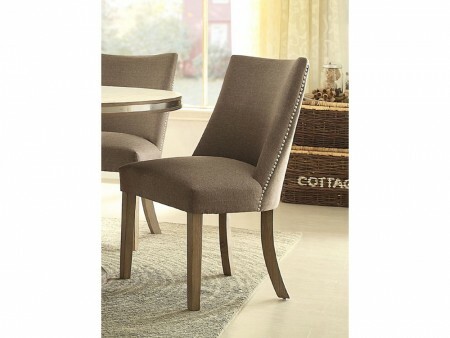 Dine in comfort and style with this upholstered dining chair, which comes with sleek bronze nailhead trim. The rich beige fabric is easy to care for and works with any dining tables in our collection. 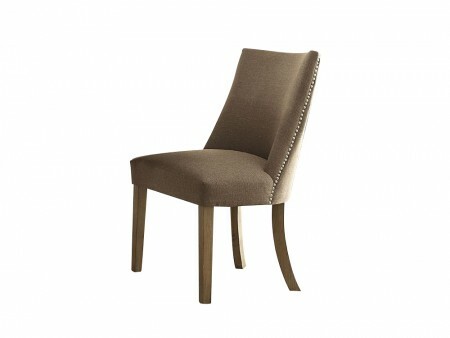 We recommend the Sevilla Table for a perfect ensemble.